Wonderful Grand Colonial in Becket. 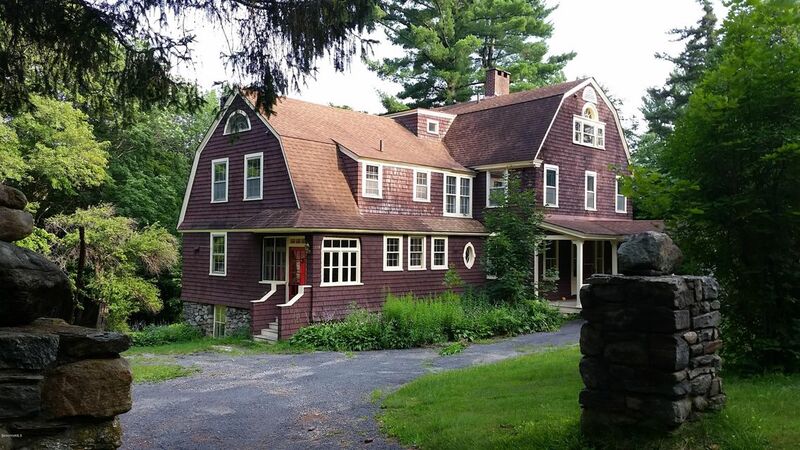 Perfect for a large or extended family in beautiful Berkshire County. Imagine returning to this stately property after a day on any of the nearby slopes, lakes, trails, or rivers. Get cozy in front of either of the impressive stone fireplaces.Large living spaces downstairs with formal and back stairs leading to the second level which is split between the formal bedrooms and maid & butlers quarters. Expansive multi room Master on the third level. Sip cocktails or coco on the generous screened porch with friends.The large and handsome carriage barn offers endless possibilities. Live, play, and entertain in style. This 6 bedroom 4 bathroom home is waiting for you if you're looking to stand out from the crowd!